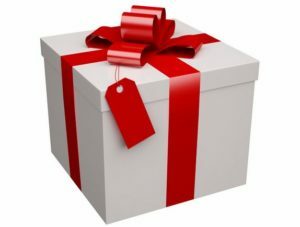 Is Gift Tax Repeal Also Possible? November 28, 2016 By JRL, Esq. Along with all of the other uncertainties going forward is whether or not the repeal of the gift tax will also happen. President-elect Trump has proposed, along with the repeal of the estate tax, the elimination of the gift tax. However, there are other significant tax purposes which the gift tax has and does continue to serve. The gift tax, although associated with the estate tax, also helps to ensure the integrity of the income tax system. Without the gift tax in place, a taxpayer could easily shift income to another taxpayer in a lower tax bracket, such as between a parent and child. Can Trump Get the Gift Tax Repealed? For example, a parent could transfer an asset to be sold to a child, who could then sell the asset, recognizing the gain at a lower rate. After paying the lower tax bill, the child could simply gift the proceeds back to the parent. There would be no gift tax cost to impede such a transaction. Just how effective is the gift tax as a backstop to the income tax? Back when the gift tax exemption was only $1,000,000, it most likely provided a more significant impediment to such asset transfers for income tax shifting. Now that the lifetime exemption is $5,450,000 (as of 2016), the obstacle to transferring assets for income purposes is not that relevant for the vast majority of people. The repeal of the gift tax would most likely not cause a flood of income shifting transactions. But what about those with significant wealth? Might the elimination of the gift tax entice the ultra-wealthy to engage in this income shifting. Well, at a certain level of wealth, even the donees of such asset transfers are in the top income tax bracket. In which case, there is not much income tax shifting benefit to be gained. And this is even more true if Trump’s proposal to lower the top income tax rates is implemented. What effect would repealing the gift tax have on asset protection planning of wealthier taxpayers? Depending upon what type of irrevocable trust is used, the gift tax may present a complication to funding trusts designed to protect assets from creditors. This depends upon whether the trust is designed to be a completed gift or not. By eliminating the gift tax, asset protection planning could proceed unfettered. As with all of Trump’s proposals, we have to wait and see what he is able to carry out. Stay tuned!